Showing results by narrator "Tom Corcoran"
Drawing on the wisdom gleaned from thriving mega-churches and innovative business leaders while anchoring their vision in the Eucharistic center of Catholic faith, Fr. 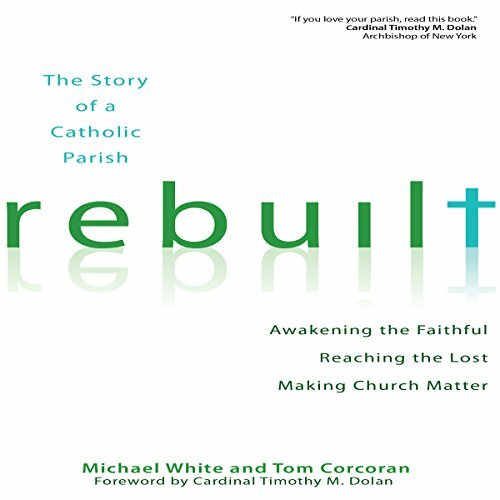 Michael White and lay associate Tom Corcoran present the compelling and inspiring story to how they brought their parish back to life. Rebuilt is a story of stopping everything and changing focus. When their parish reached a breaking point, Fr. Michael White and lay associate Tom Corcoran asked themselves how they could make the Church matter to Catholics. Don't Do What's Suggested Unless You Will OWN IT.